D'aww, she looks adorable. Too bad I'm not into collecting figures unless they were my absolute favourite characters. 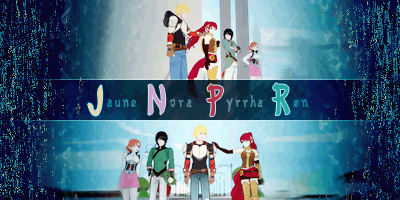 They used the exact picture for her hair, that Nausicaa used as a sig. :-) props for the detail! Looks really crisp. I'm new to this nendoroid stuff. Is this posable in any way? Is this posable in any way? From my knowledge, yes but limited poses I think. I believe they come with "stickers" or they're probably masks that allows you to change the facial expressions on the face. 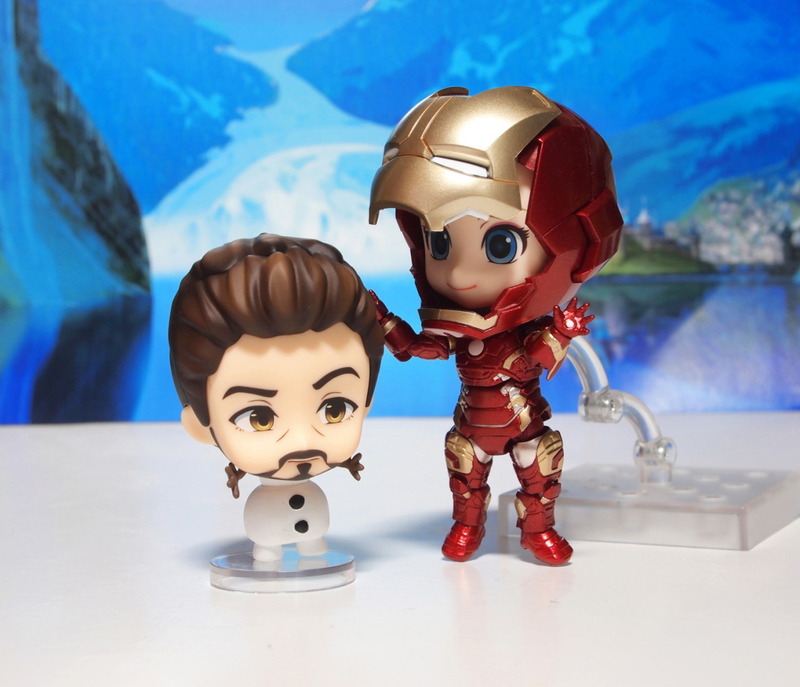 I've never owned a Nendoroid so I think someone else who has one would be able to give a more accurate answer. Yeah, it works something like that. I've never owned a Nendoroid, but I think they usually come with some alternate face pieces that you can click in, as well as alternate arm poses. 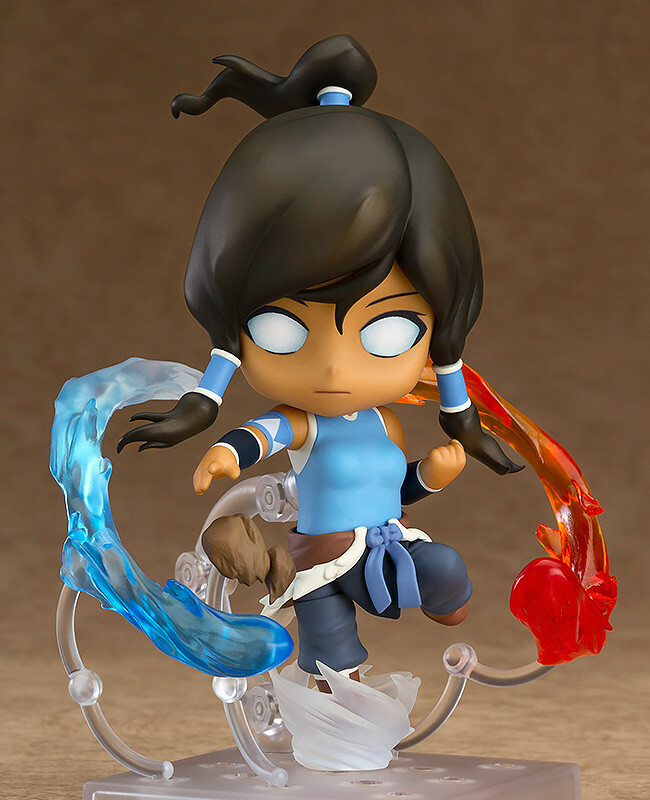 In the pictures of Korra, you can see that her hand gestures are different between the two photographs. It also looks like her legs are poseable, because you can see little joints in the photograph. (Actually, looking at it now, it also looks like she has alternate leg pieces between the first and second photograph. At the very least, they seem to have swapped the legs around.) The website says that the toy can't stand on its own, and requires the stand it comes with. 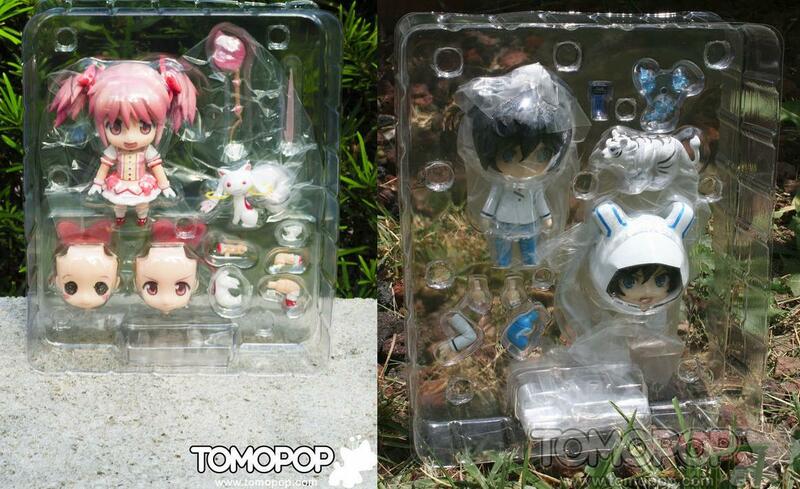 I hope this sells well enough that figma starts producing Avatar toys. Good Smile distributes those, too. 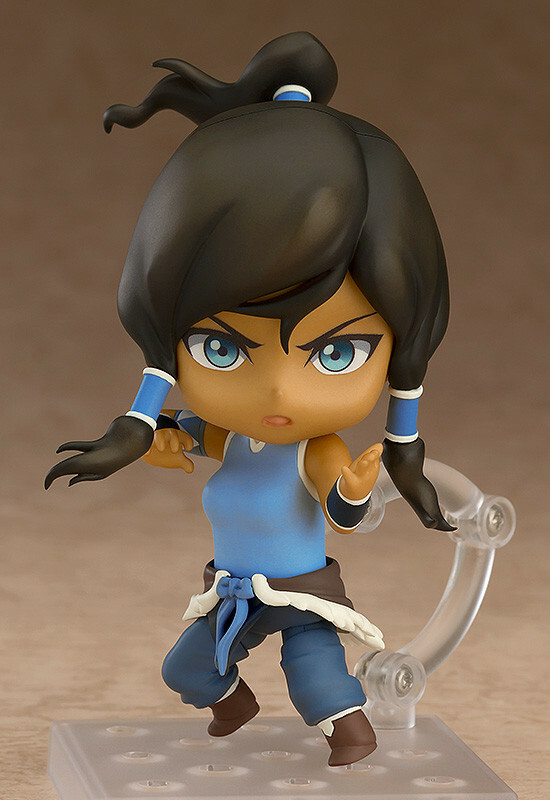 Preorders for Korra are back open, with a new release date of December 2016. The reason? 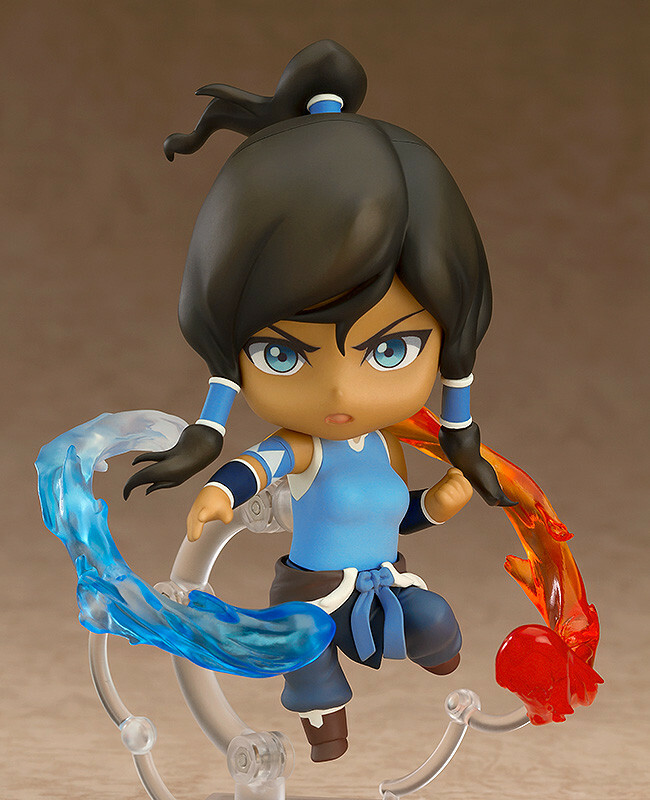 This product was previously available for order between the 30th June 2016 to the 10th August 2016, however due to the requests from fans after the announcement of Nendoroid Korra, we have decided to add both Air and Earth-bending effect parts as well as an additional expression in the Avatar state. All preorders already made for this product will also include these parts. What's the price translate to in dollars? It's roughly 100 Yen to $1. So around $44 and change (before tax, shipping, etc). Oh neat! I'm glad they added more accessories. I tried to pre-order this back when it was initially open, but their website refused to accept my telephone number. >_>; I hope I can find one from an Amazon reseller before Christmas (so I can ask for it to be wrapped and put under the tree as a present for me, heh).